The weekend before Thanksgiving, I made a quick trip up to Chicago for the weekend. My friend Liz, is also having a baby- she's a trimester ahead of me. So, this was our last chance to get together as two pregnant ladies. It was so wonderful to be with a friend who is in the same boat as me, as it gets so tiring watching everyone else drink alcohol by myself. So we had a fun, relaxing weekend together. I also got to see my friend Jenny P briefly, and had plenty of time to visit with my brother, Jon. 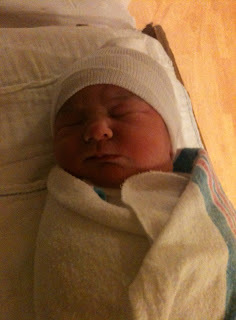 I have gotten so behind on my blogs, that Liz actually had her baby before I got this one posted. Margaret Jo was born on December 11th, 2009. 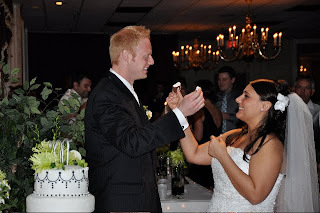 Congratulations Liz and Aaron! I'll be cookin' up a little friend for Maggie Jo. 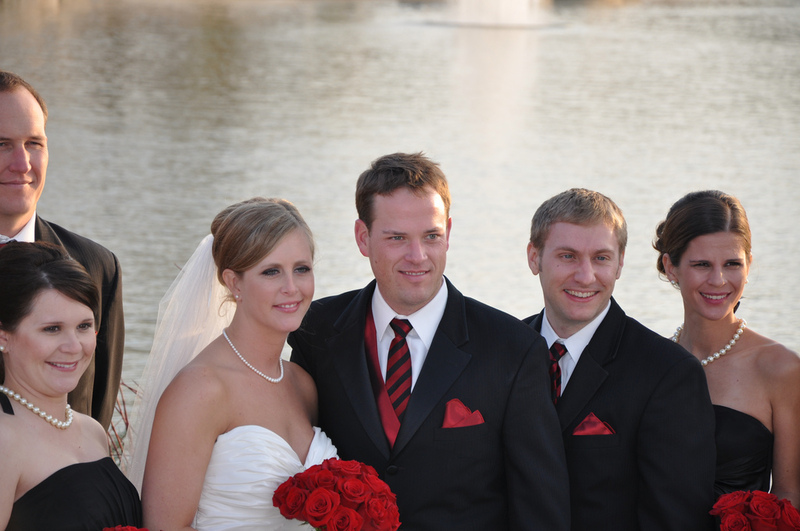 And the second wedding in St.Louis was the wedding of Dan and Kathie. Dan is a college friend, and seemed like one of those guys who just would never be tamed. So, as they were wrapping up the wedding ceremony, I found myself in awe.... "Dan is actually married." It was one of those moments where you didn't actually give yourself time to think about it, and when it happened, you just couldn't believe it actually happened. 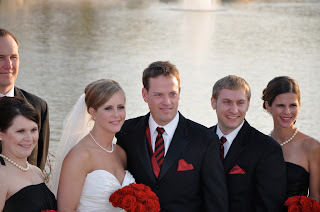 They had the most elegant wedding, on a rare 70 degree and sunny November day. So, wedding #1 was the union of Jason's 1st cousin Stacy to her love, Joe. Stacy is Brad's sister (whom you may remember from July's post "Brad and Jim sighting"). Stacy was just the cutest, happiest bride and I have to say, I loved her dress. It had these fun feathery ruffles that ran down the length of the skirt portion. By the way, ever since the purchase of the fancy camera, Jason has taken over my role of family photographer. We bought a Nikon dSLR back when I constantly felt like barfing. At the time, figuring out how that thing works was just too much for me to handle. Now I feel like I could take on the instruction manual, but Jason has gotten so good at it, and is having way more fun than I ever did taking pictures. Jason posts his pictures on Flickr and you can see the full collection of all our recent photo-worthy events on his photo stream. My dropshots account has not seen new photos in quite some time. I didn't realize how weird the whole belly-touching thing would be until I experienced it for myself. The thing I didn't know, is that even though I have a much rounder tummy now, that roundness is not a baby. The roundness all the stuff that used to be lower, that has now gotten pushed up by the new resident... who is located much farther down, like several inches below my belly-button. So, at this point, the whole belly touching thing is just weird because you're not touching the baby, you're touching my chunky belly! It's no different that asking to touch the belly of a friend who is not pregnant, but recently gained 10 pounds. It's no different than touching your own tummy. So please, let's save that for later.